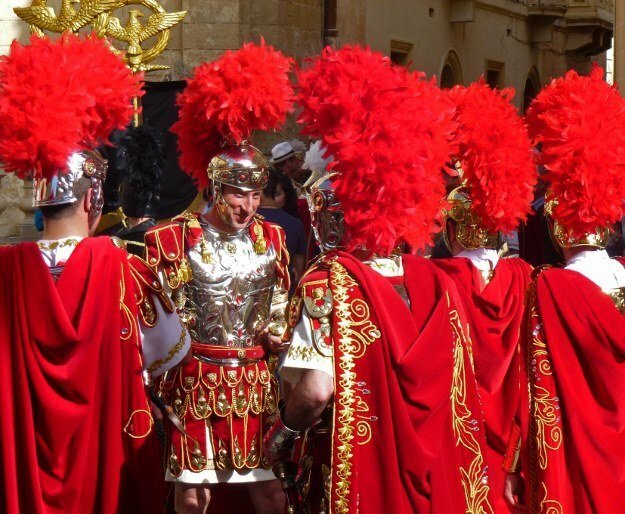 The Good Friday procession in Malta is an epic event, with several parades around the Mediterranean island clocking in at two plus hours. 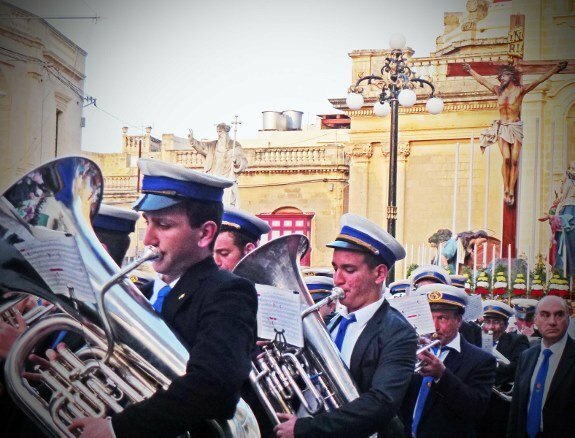 This is one of country’s most important public holidays; Malta basically shuts down for this event. 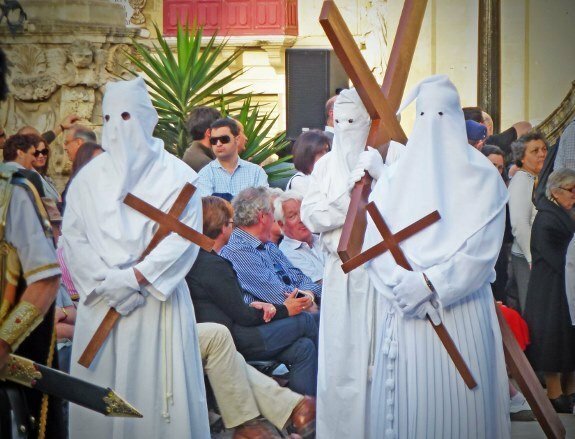 We attended the Good Friday procession in the village of Zebbug (which means “olives” in Maltese). 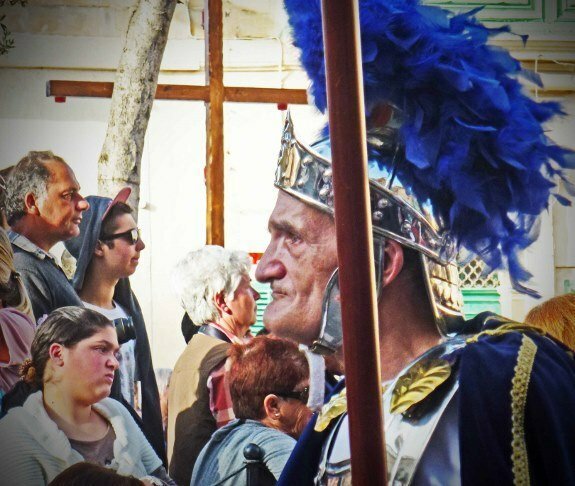 Hundreds of its residents take part in the parade, which is the high point of Holy Week in Malta. 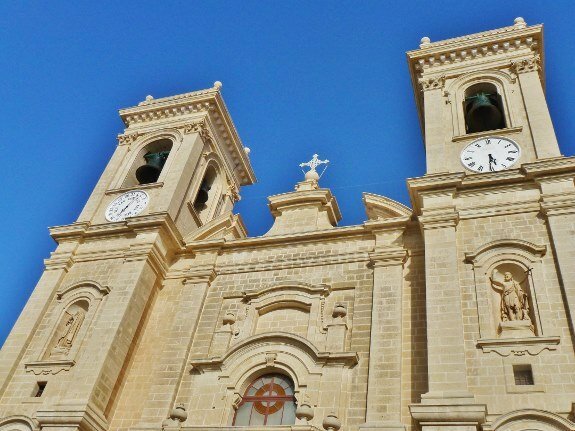 The Good Friday procession in Zebbug starts at the 17th-century St. Philip Church. 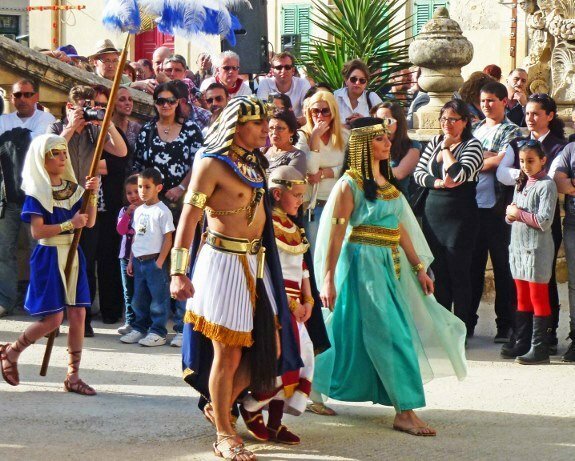 Although it is a Good Friday parade, the cast of characters goes back to the Old Testament, as depicted here by the Pharaoh of Egypt. Serving girls from the Pharaoh’s court. 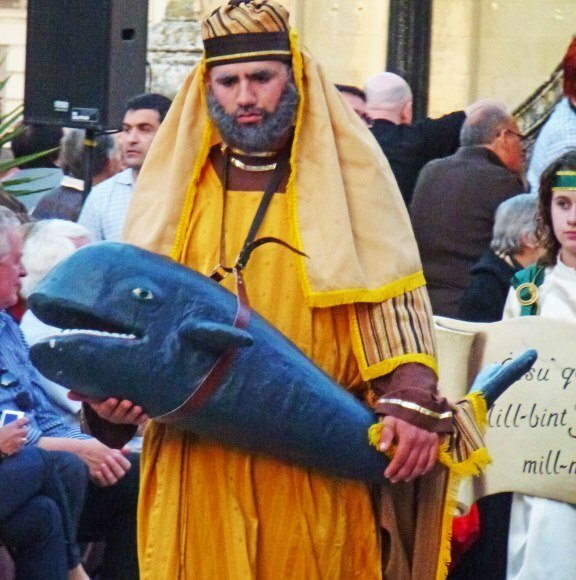 Jonah and the Whale make an appearance at the Good Friday procession in Malta. 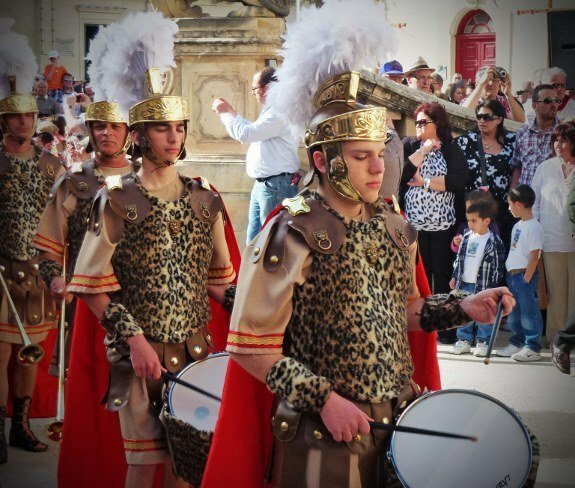 Moving on to Roman times with the presence of a Roman marching band. One of the reasons the procession is so long is that all participants first march into the church, before marching out of it for the actual procession. 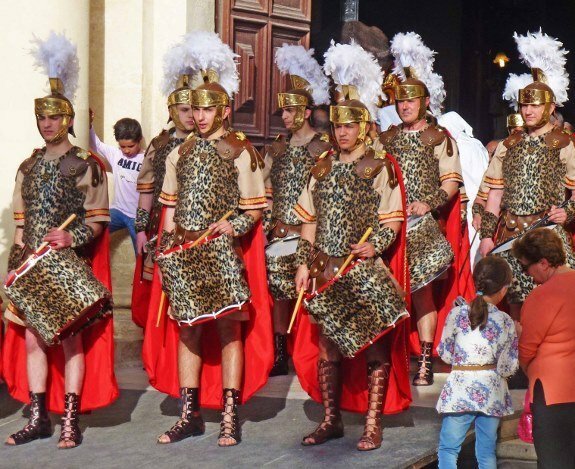 The pre-Church parade is to the soundtrack of Gladiator which boomed out of large loudspeakers set up on the piazza. The Gladiator theme makes sense because part of the movie was filmed on Malta where the Colosseum was recreated. Many locals served as extras in the film, the gentleman above looks like he came right from central casting. 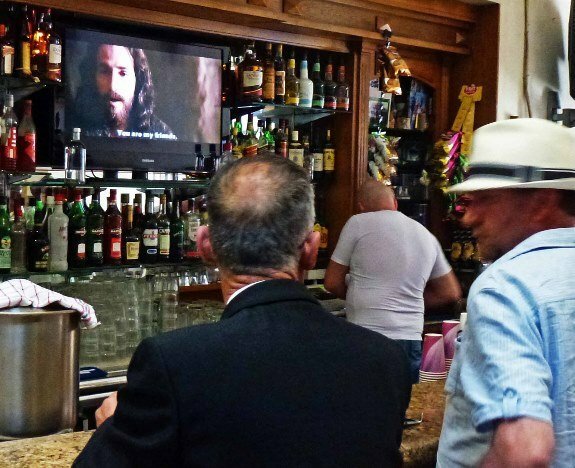 For those not watching the parade, the TV over the bar at the local tavern shows The Passion of the Christ on a continuous loop. Now that the parade has entered the church, they all turn around and match right out for the real parade. 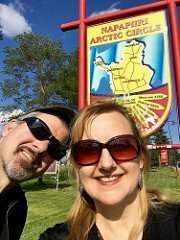 At first we were taken aback by these folks, but they are not what you might think. These cloaked characters represent penitents who are repenting for their sins. They wear the hood to hide their identity. Each village has a brass band that provides a soundtrack for the procession. Although there were 10 men carrying each statue, we could tell by their grunting that the statues were really heavy. Here’s the colorful display at the 12th May Band and Social Club. 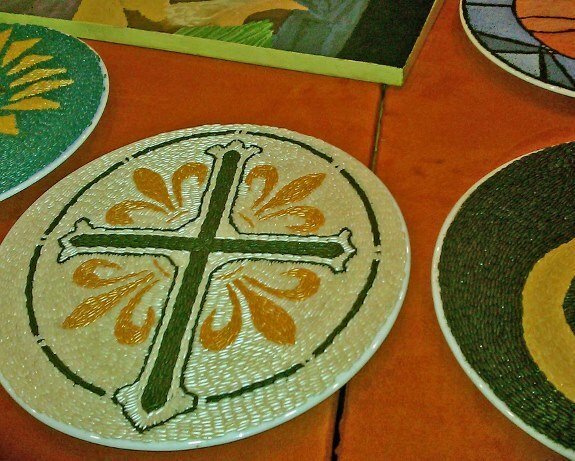 It’s hard to believe these paintings are made with just grains. Since the grains are not glued, I was afraid to lean over too far to take the picture for fear of creating a breeze that would mess them up. In this photo the individual grains of rice are visible. 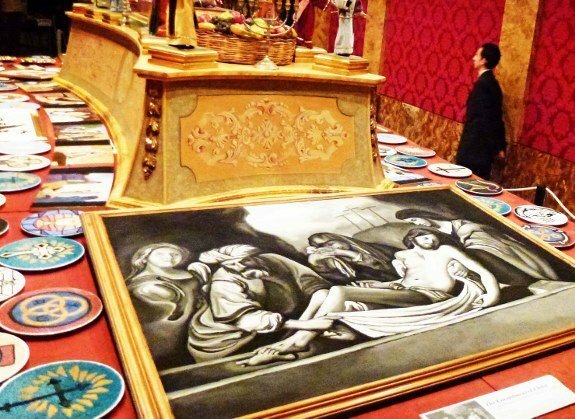 The artists who put these pictures together devote seven hours a day in the week leading up to Good Friday. What makes this magnificent artwork more poignant is the fact that it is ephemeral, at the end of the day it is just swept away. Thank you to two of the artists, brothers Dylan and Ayrton, from the 12th May Band and Social Club, who explained the display to us. 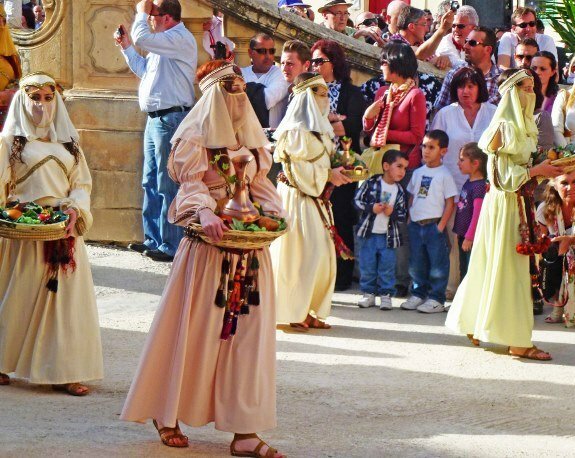 Religious feasts in Malta are a big deal, and the Good Friday Procession at the end of Holy Week is one of the most important events of the year. One of the things that’s really cool about this Good Friday procession is the homespun charm and sense of community. 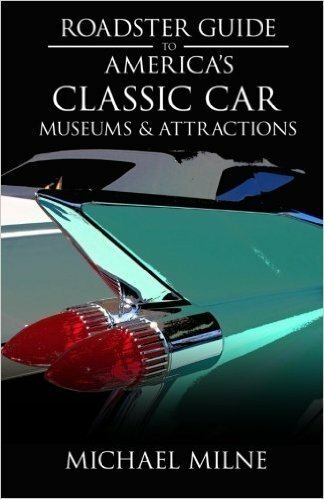 Everyone in the town who wants to participate has a role; many take part year after year, often reenacting the same characters annually. 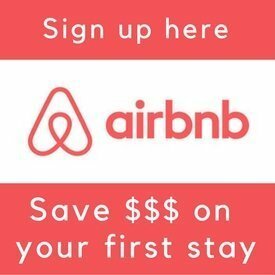 Don’t go expecting something that’s run with precision down to the last minute–this isn’t the Olympics Closing Ceremony. 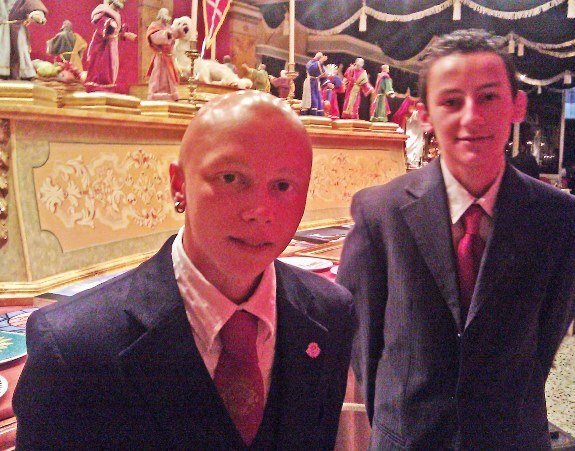 Rather it is a community celebration of an event in Malta that is important to all. 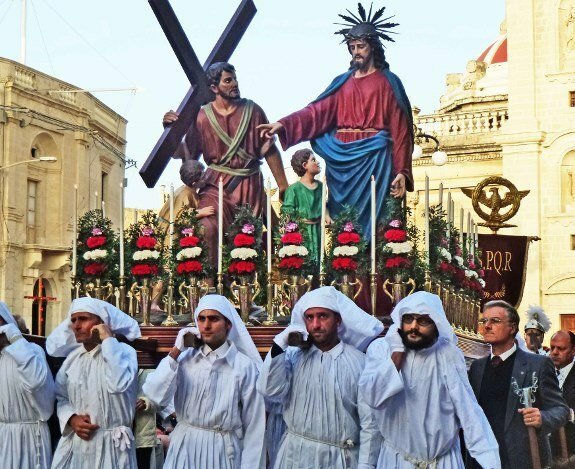 Despite the fact that Good Friday is a solemn day, everyone enjoys themselves, and their pride in participation is evident. 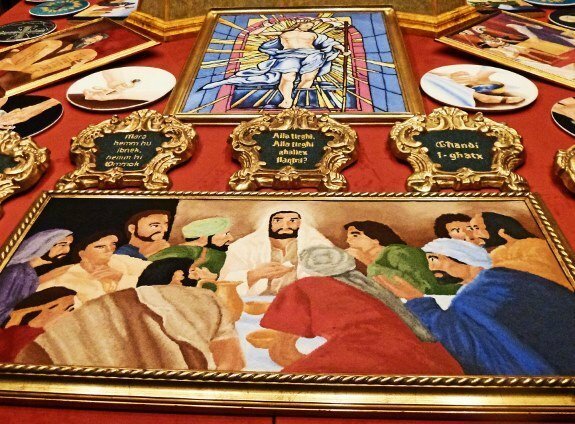 If plan to be in Malta during the Easter holidays, make a point to attend the Good Friday Procession, and be sure to seek out the fascinating artwork created by the 12th May Band and Social Club. 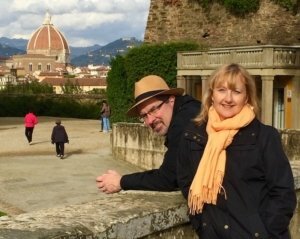 Larissa and Michael are your typical middle-aged couple from Philadelphia who’ve been traveling the world full-time since 2011, seeking off-beat, historic and tasty sights. 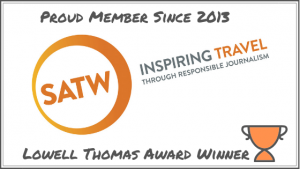 To receive our free newsletter with quarterly updates and valuable travel tips subscribe here.